Danco Storage llc. is located at 5355 HWY 54 in Owensboro, KY conveniently between the most popular boating and camping locations, the Ohio River and Rough River Lake. We have a fully secure, gated and fenced facility with complete 24/7 video surveillance. There is 55 ft in between each building for wide access maneuverability. Danco Storage llc. will be open 365 days a year 24 hours a day for complete self storage experience. Click HERE for your downloadable Rental Agreement. Fill it out and bring it in, or send it via mail. Danco Storage llc. is located directly behind Danco Trim on Hwy 54, Owensboro Ky. Click HERE for the Danco Trim Website. Once a contract is signed with Danco Storage llc. you will be provided with your own key code to access your Boat, RV, camper or equipment at any time desired. For your peace of mind, this ensures complete security and safety for you and your belongings. Danco Storage llc. is located conveniently between the most popular boating and camping locations, the Ohio River and Rough River Lake. You can leave town, stop in to pick up your boat and head straight to Rough River Lake with no hassle. On the way home just drop off your boat and be on your way. Our convenient location will save you time and gas money. Danco Storage llc. has great rates that are perfect for every budget! For covered parking there are a variety of sizes and budgets. 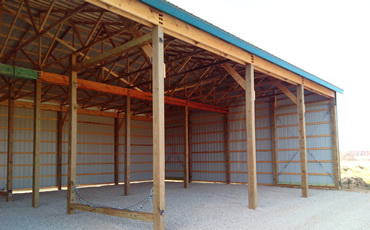 12X20 bays are $75/month, 12X30 bays are $85/month, 12X40 bays are $125/month and 12X60 bays are $170/month. Open Parking Lot for Larger Items. If you are just needing a spot to park your boat because you can't leave it at home, try our budget friendly open field parking. Boats smaller than 20 feet can park open field for a low $35/month, boats over 20 feet only pay $50/month!